President Higgins highlights the importance of people supporting local employers, businesses and produce. The family farm is of critical importance to the country’s future and for local communities, President Michael D Higgins said at the National Ploughing Championships on Tuesday. 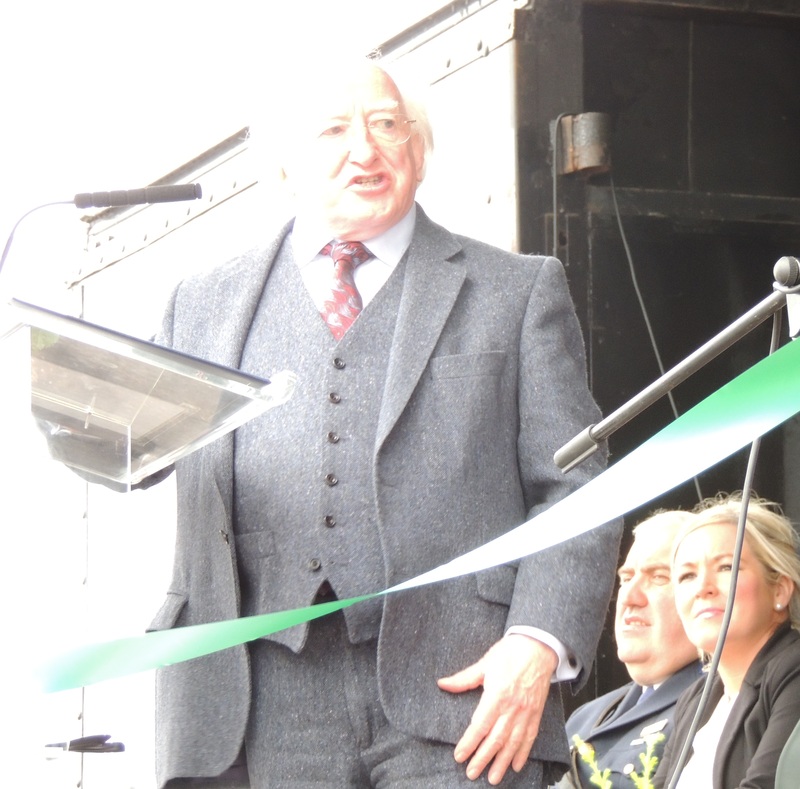 “It is a vital necessity if we want an Ireland of thriving local communities,” he said. Later the President told journalists that in the wake of the recession local small towns and communities such as those in Co Laois where the ploughing event is being held have a future “beyond commuting”. “The issue is to turn more of those ghost estates into viable propositions that will be able to link into community,” he said. “Maintaining a vibrant agriculture and preserving the family farm model is of critical importance to the future of this county,” President Higgins said as he opened the event. The President also highlighted the importance of local people supporting local employers, businesses and produce and that people have pride in what they produce. “There is a mindset happening in Ireland, I find as President, that people want that kind of ethical life rather than an artificial life,” he said. President Higgins opened the event at Rathneska, Co Laois and the local bishop and clergy said prayers and offered readings to bless the event. 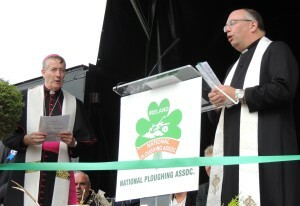 Bishop Denis Nulty of the Catholic Diocese of Kildare and Leighlin and the Rev Andrew Orr of the Church of Ireland Diocese of Cashel, Ferns and Ossory shared the podium. Both churches had stands side by side at the event, and other churches and church organisations were also present. When CatholicIreland.net visited the Kildare and Leighlin stand, Fr Micheal Murphy of Mountmellick parish was outside to invite people in. “The Diocese always had a stand when the Ploughing was in our area. It is nice to have that little bit of affirmation from people, as they come and go, that they are delighted to have our presence here,” he told CatholicIreland.net. He said that people have come on the stand to say a prayer, or collect wristbands or blessed salt which can be sprinkled on the farm and home with a blessing prayer. There is also a cuppa and prayers, music and talks at different times of the day. 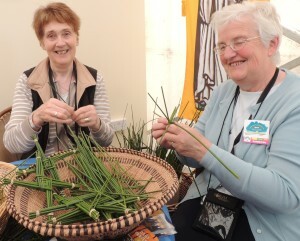 Sr Ann Walsh of the Presentation Sisters and Sr Delores Fitzgerald of the Mercy Sisters in Carlow were also on the stand demonstrating how to weave St Brigid’s crosses. Sr Ann said it was a day of meeting people not just from the local parishes but also from Cork, Castlebar, Sligo and elsewhere. Sr Delores said that people loved seeing the crosses and many recalled making them in school.